The City of Light is more than a museum. Paris pulses with the energy of commerce, community and cultures from across the planet. 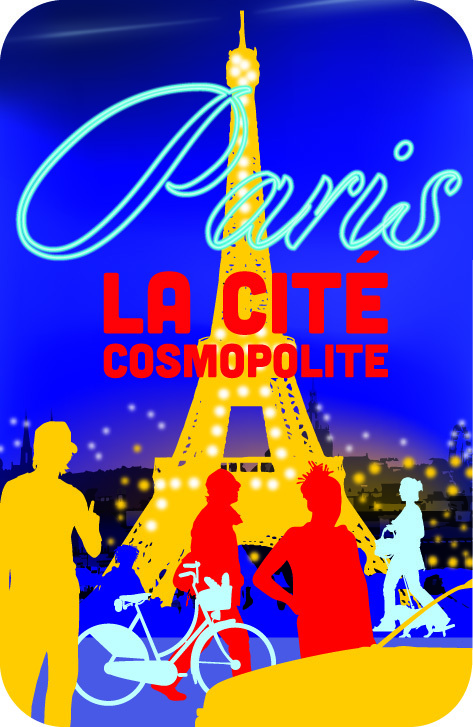 Get to know La Cité Cosmopolite beyond the monuments and boulevards. Become a working Parisian engaged and culturally aware. With the help of Napoleon’s architects, the great urban planners of days gone by and today’s working Parisians, you develop a deep understanding of how Paris functions, celebrates artistic treasures and preserves cultural traditions and quality of life. You and your new friends live in a small locally owned hotel in central Paris during an action-packed introduction to French language and culture. Meet with a master baker, visit Notre Dame, buy baguettes and fresh cheeses for a picnic lunch in the Jardin du Luxembourg and practice your French language skills while learning about Paris as a living and working city. Then take the TGV to your host community to become part of a local family. While shopping for fresh produce in outdoor markets, visiting local Chateaux with fellow Corps members and cooking with your new host family, you become integrated into daily life. Return to Paris for an intensive urban studies project. You intern with a local business, work with the children of Les Enfants de la Goutte d’Or, volunteer at a soup kitchen, and travel on foot, by bus and by metro through many of the eclectic neighborhoods of Paris. With all that you’ve learned about urbanism, travel to Iceland to explore urban design and sustainability. Learn about geothermal energy, explore the architecture of Reykjavik and volunteer with a local NGO. Spend your final few days traveling Iceland’s Golden Circle and considering the nexus between urban development and environmental preservation. Climb the steps of the Eiffel Tower. Feast your eyes on the masterpieces of the Louvre. Navigate the metro like an expert. Speak French in stores, cafes and neighborhoods from Montmarte to the Left Bank. Develop your French language skills. Cook with your host mother. Become part of a new family. Get together with other Corps members to participate in excursions and day trips with your Corps leader. Meet with local community leaders. Engage in community exploration exercises to learn about demographics. Explore the 20 arrondissements of Paris. Intern at a local cafe or shop. Prepare the daily soup for hundreds at La Chorba, a Parisian food bank. Play with children at a community center for recent immigrants. Pack your bags and head to Iceland. Work with Iceland’s Forestry Department to plant trees and cultivate sustainable sources of wood. See the active volcanoes, giant geysers and powerful waterfalls of the Golden Circle. Discuss re-entry and prepare for the journey home.